The mandatory motor third party liability (MTPL) insurance also in 2081 might bring loss to the insurers, but there are no grounds for further growth of MTPL insurance prices, said Latvian Insurers Association's President Janis Abasins, cites LETA. "Last year's MTPL price growth will be reflected throughout this year. The impact will be visible in some 12 months. Thus, in 2017 there will still be loss in MTPL insurance, there will also be loss in 2018, but a smaller one. There is hardly a country in Europe where MTPL insurance is stable and profitable," said Abasins. "I do not see grounds for further rise of MTPL insurance prices. Our prices have neared Lithuania and Estonia. Should our prices be higher than in the neighboring countries? I don' t think so," he said. Abasins also said that the Competition Council is looking into the recent steep growth of the MTPL insurance prices. Asked whether the growth of MTPL insurance prices does not affect voluntary land motor vehicle insurance (KASKO) as people cannot afford this type of insurance any more, Abasins said that he has heard about such situations, but there are not many of them. 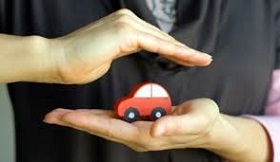 "Just about one fourth of all vehicles has KASKO insurance. This share is growing very slowly as KASKO is targeted at newer cars. Therefore we should not expect a significant drop in KASKO insurance because of the rise of MTPL insurance prices," he said, adding that as overall welfare level is increasing, the number of cars purchased on a leasing agreement is also rising, and KASKO insurance is mandatory on leasing agreements. According to the Central Statistical Bureau, in December 2017 transport vehicle insurance prices had risen by 64.1% from December 2016. Latvian insurers in the first nine months of 2017 sustained loss worth EUR 7.045 million from MTPL insurance, down 21% from the respective period in 2016.